Mothers and fathers doing the tireless, often thankless work of raising children should be celebrated every single day, yet ironically, they are often the most humble about the significance of their role. I personally try to remember to tell my mother often how much I love her and give her specific reasons why I’m thankful for all she has and continues to do for myself and our family. 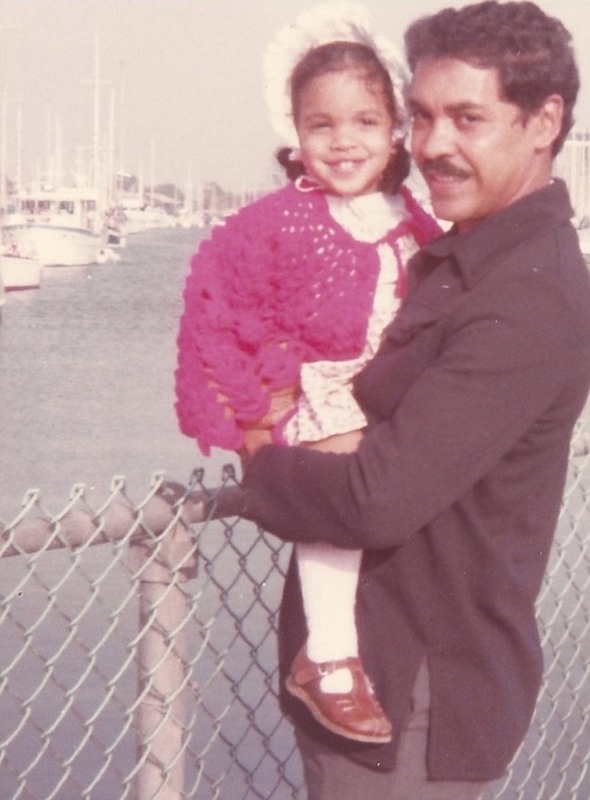 May and June are those distinct times of year when parents are celebrated, and while I absolutely love that dedicated holidays honoring mothers and fathers exist, I always think that we could do more to recognize the men and women who gave us life. 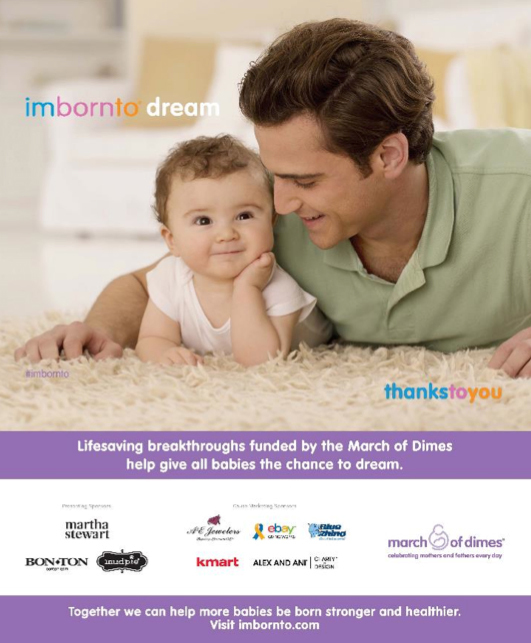 All month long, the March of Dimes is celebrating mothers and fathers through their ImBornTo Campaign, which recognizes that every baby is born to do something special and unique. With the rates of prematurity climbing, the March of Dimes seeks to mitigate the risk through programs and research so they are born at the right time and have the foundation for a healthy start. If you were born in the last 75 years, the March of Dimes has touched you. Their integration of science and service seeks to prevent birth defects and infant mortality. For example, because of the March of Dimes, women now take a prenatal vitamin with folic acid during pregnancy to prevent neural tube defects and infants are immediately assigned an APGAR score at birth to determine their health and need for immediate medical care. 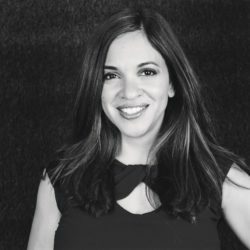 With one baby born prematurely every minute and 72 babies dying daily before they reach their first birthday, the March of Dimes’ mission has been to fight to save babies and help moms achieve healthy, full-term pregnancies. Over the weekend, we celebrated several local moms and friends of mine with a tea party! 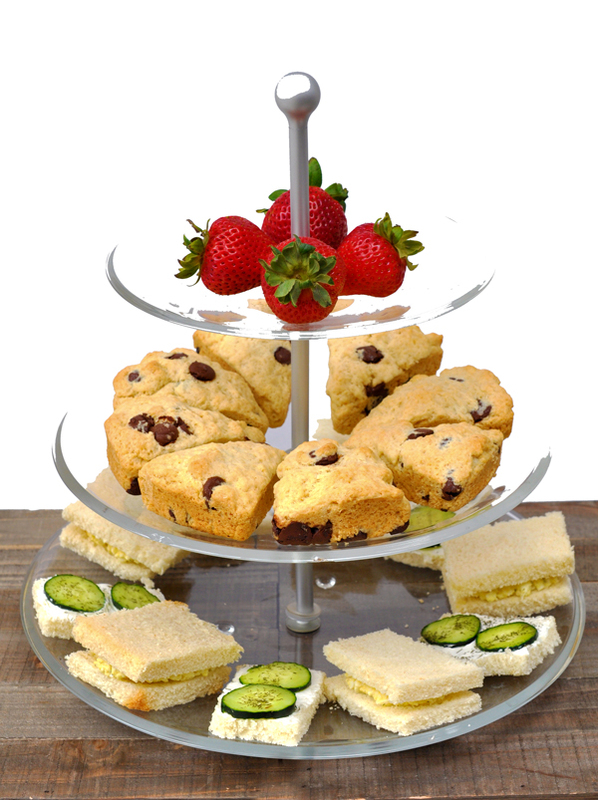 Tea is one of my absolute favorite experiences and I love that it allows me to pull out my English china and serve delicacies like scones with fresh cream. During the event, moms went home with lovely gifts from the March of Dimes, knowing that these items will help further their efforts to prevent prematurity. Martha Stewart: Chef Emeril Lagasse has teamed up with the March of Dimes to celebrate dad with a meal out. When you dine at Emeril Restaurants in New Orleans, Las Vegas and Orlando, your donation will support the March of Dimes’ efforts to overcome prematurity. 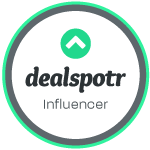 If you don’t live in one of the 3 cities housing a restaurant, you can still celebrate that special dad in your life via social media. 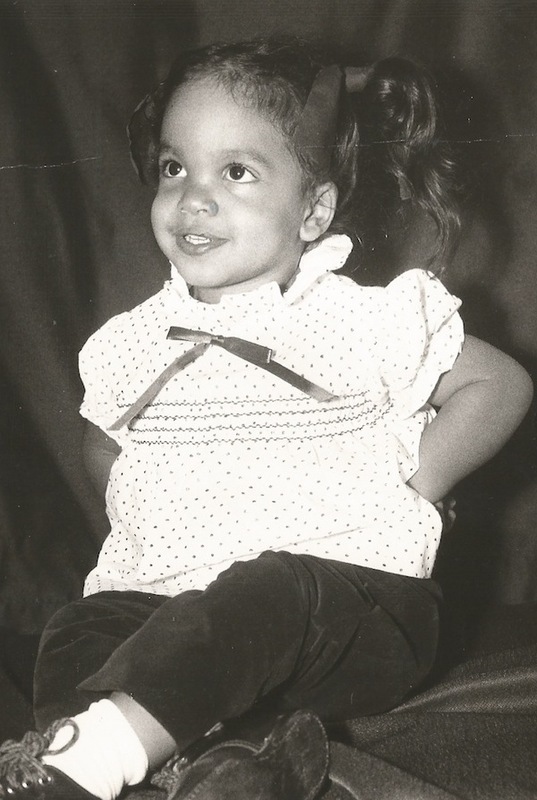 Simply upload a baby picture of your child, grandchild or yourself and use the hashtag #THX2U and the Emeril/MSLO/Meredith will donate $10 to the March of Dimes (up to $30,000). Bon-Ton: Through June 21st, donate at least $3 and you’ll receive a $10-off coupon towards your purchase of $25 or more in-stores or 25% off online. You’ll also receive a fragrance atomizer for just $1 with any $75 fragrance purchase. 100% of the purchase of this atomizer benefits the March of Dimes. 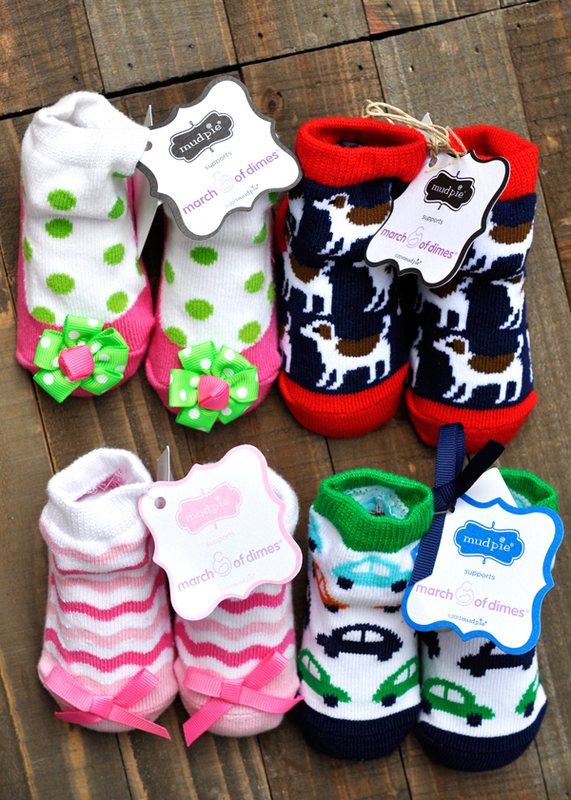 Mud Pie: Through the end of the year, the brand will donate 10 cents from the purchase of all baby headbands and socks to the March of Dimes. 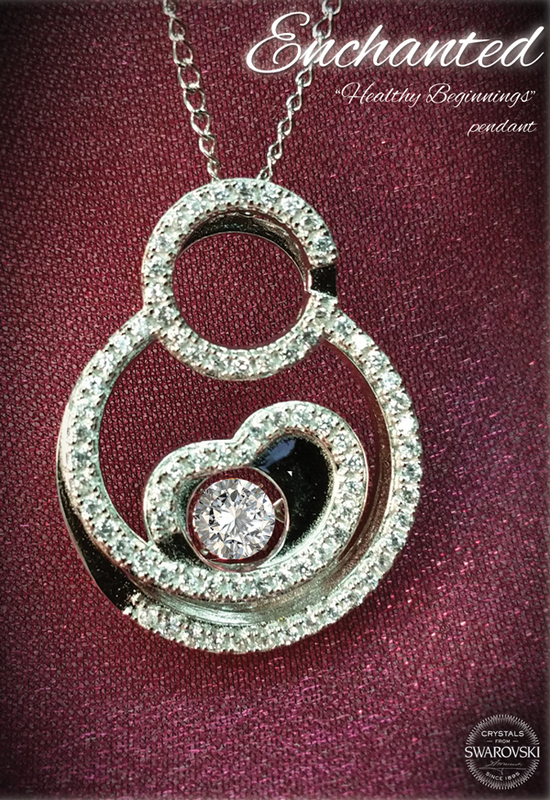 A&E Jewelers: Through December 2015, shop the Charmed Stories – Enchanted and Timeless Collection “Healthy Beginnings” jewelry pieces and the brand will donate 20% of purchases to the March of Dimes. 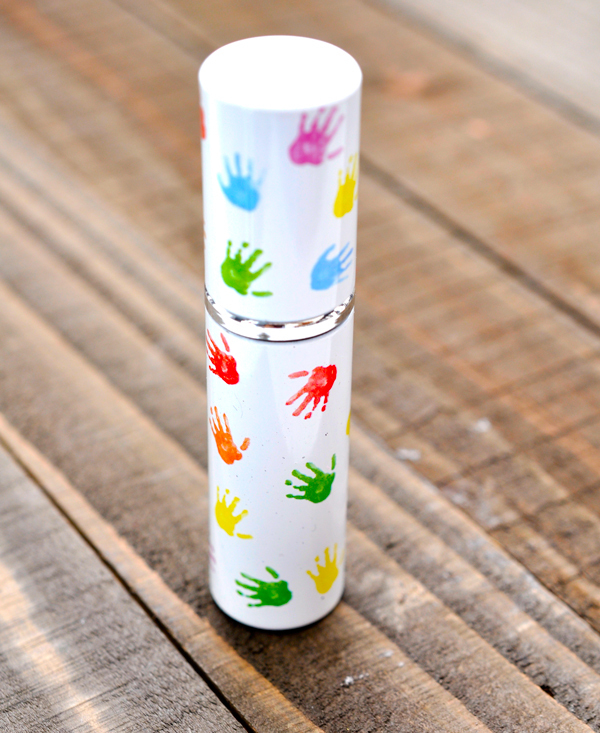 Each piece is stamped with the March of Dimes logo. Blue Rhino: Since we’re at the start of the grilling season, support the March of Dimes #imbornto campaign through Blue Rhino’s propane tank exchange. 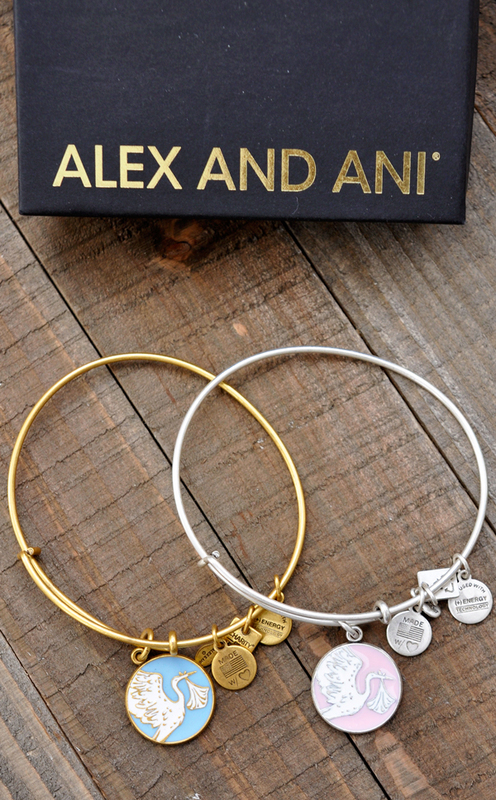 Alex and Ani: Through December 2015, Alex and Ani will sell their gorgeous Special Delivery Charm Bangles. For every bangle purchased, the brand will donate 20% of proceeds to the March of Dimes (minimum donation of $25,000). 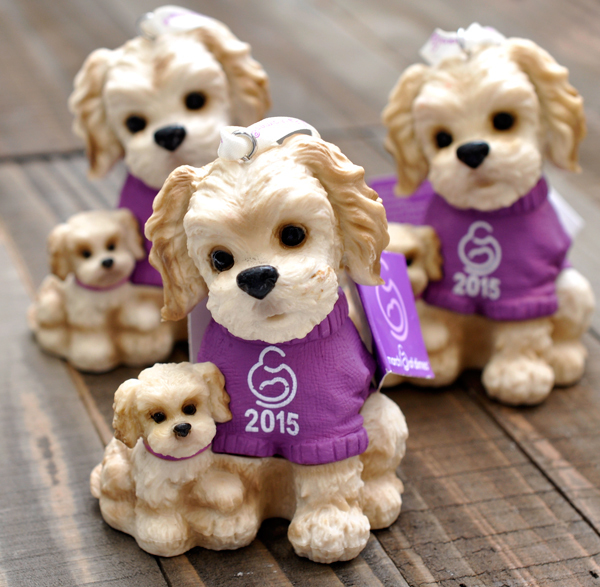 Kmart: Kmart partnered with the March of Dimes to create adorable puppy figurines that would make the perfect gift for the special father in your life. Through June 30, 2015, Kmart will donate $1 to the March of Dimes from online or in-store purchases (minimum donation of $30,000). I encourage you to help support the March of Dimes’ efforts to prevent birth defects, premature birth and infant mortality by visiting imbornto.com.